There are multiple reports making rounds about Deepika Padukone and Ranveer Singh’s marriage that is said to happen in November in Italy. Although the couple has neither confirmed or denied the reports, they are often seen together at events, parties and dinner dates. 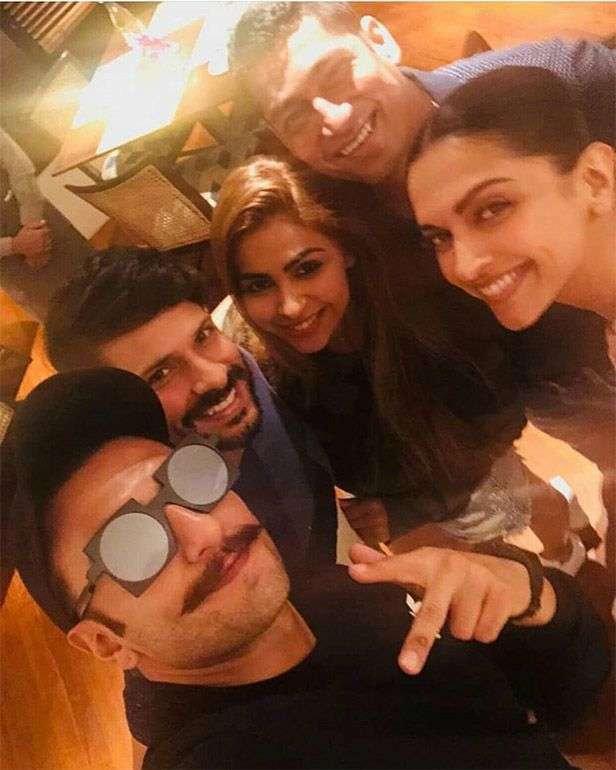 Recently, Ranveer and Deepika dined out in Mumbai at a five-star hotel along with Ranveer’s mother. The Padmavat stars took a selfie with their fan, who later posted it on Instagram. He even captioned it with “Look who it is!! Ranveer Singh spotted with Deepika Padukone and his mother at Taj Lands Hotel tonight “. The couple had attended the 16th Hindustan Times Leadership Summit few days back and shared about their personal experiences. They even spoke on the ongoing issue of Tanushree Dutta’s sexual harassment case and #Metoo movement. The couple said that it takes lots of courage for the victims to come out and speak. And whenever someone does that, the society should listen to them and be supportive. They also included that as the matter is still in speculations, they didn’t want to jump to conclusions. When they were asked about their marriage, the couple didn’t reveal anything. In the end, Ranveer and Deepika even danced to the Khalibali song from Padmavat movie, owing to the request made by an audience member. Ranveer is presently filming Rohit Shetty directed movie Simmba opposite of Sara Ali Khan (daughter of Saif Ali Khan). He is also to be seen in Zoya Akhtar’s movie Gully boy. Want to know What Your Favorite Cricketers Eat to stay fit? Let’s find out!